A fine collection of soul jazz, R&B,gospel and electronica. 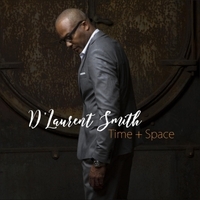 Darrell Smith, one of the top keyboardists on the touring and recording circuit will release his debut album TIME + SPACE on April 15, 2018. With a list of credits that includes working with a diverse group of artists such as Stevie Nicks, Jay-Z, Elton John, Cher, k.d. Lang, Vanessa Carlton, Dave Stewart, Anita Baker, Lady Antebelum and Darlene Love (amongst many others), the album is sure to spark interest with fans and musicians alike.